Big S and small S scrolls throughout. Arched decorative double courtyard entry gate. Tall arched entry gate with spears. The 12' tall opening is secured with not only a beautiful gate but has spears added to the top to nearly enclose the entryway. 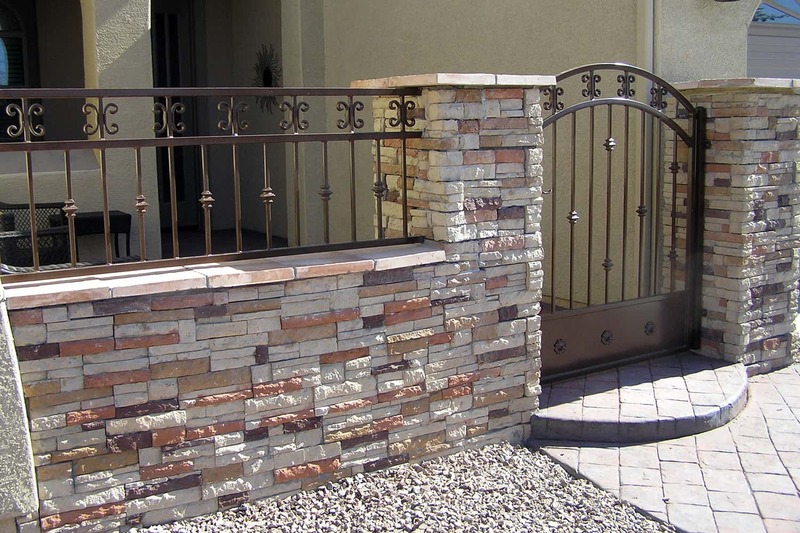 Panels on either side of the entry (not shown) complete the security and beauty of this entryway. 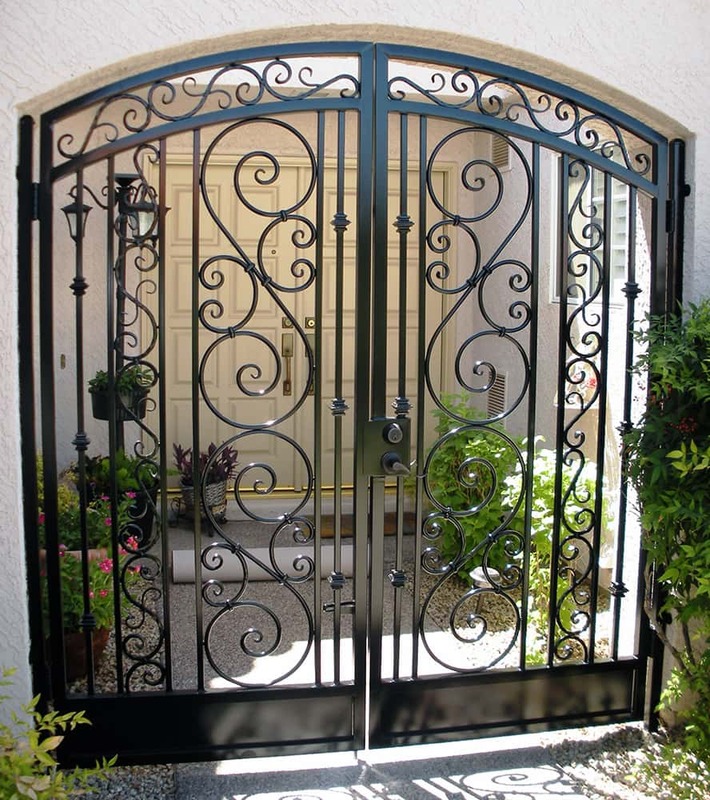 Full-height decorative double entry gate. 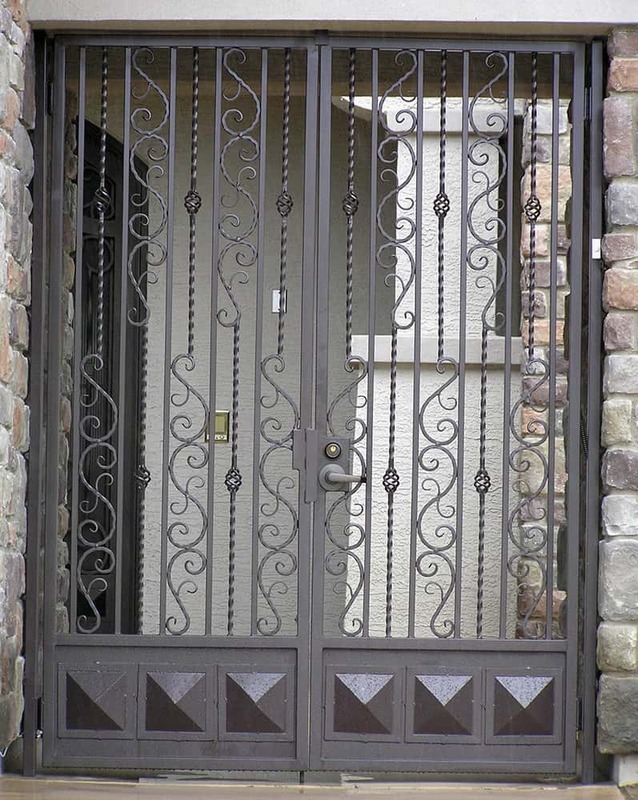 This full-height of the opening decorative gate combines a number of design elements. We've used hand-hammered Italian scrolls, solid twisted steel pickets, baskets & the diamond-shaped designs on the kickplate. 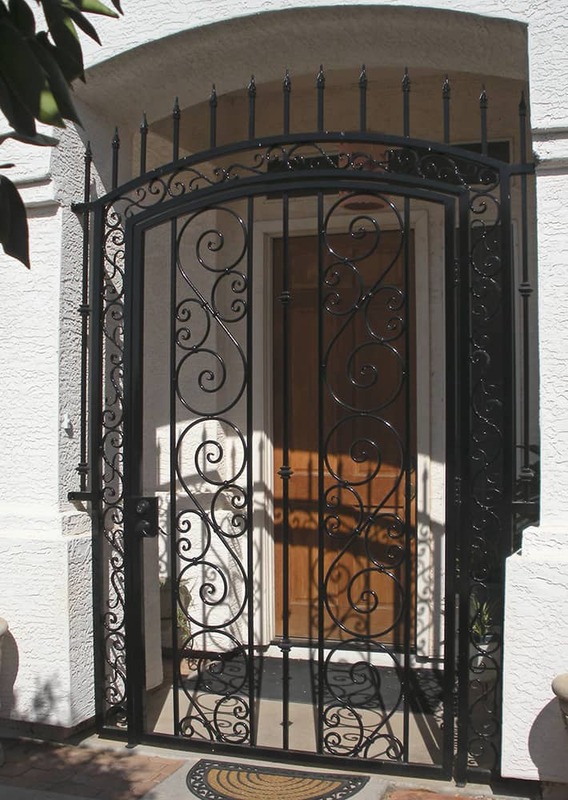 Arched decorative gate and side panels securing the entry. 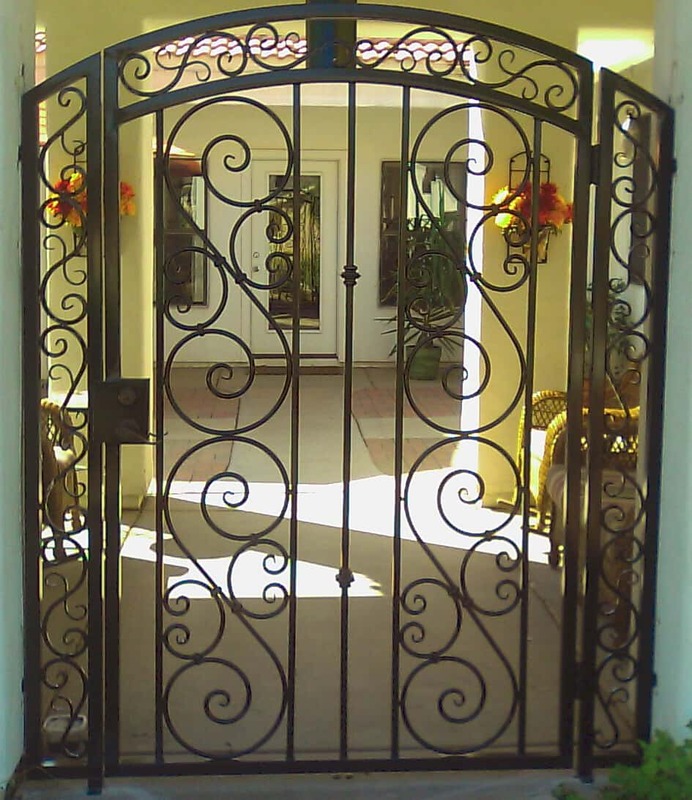 This arched, decorative gate and panels secure the courtyard entry of this home. 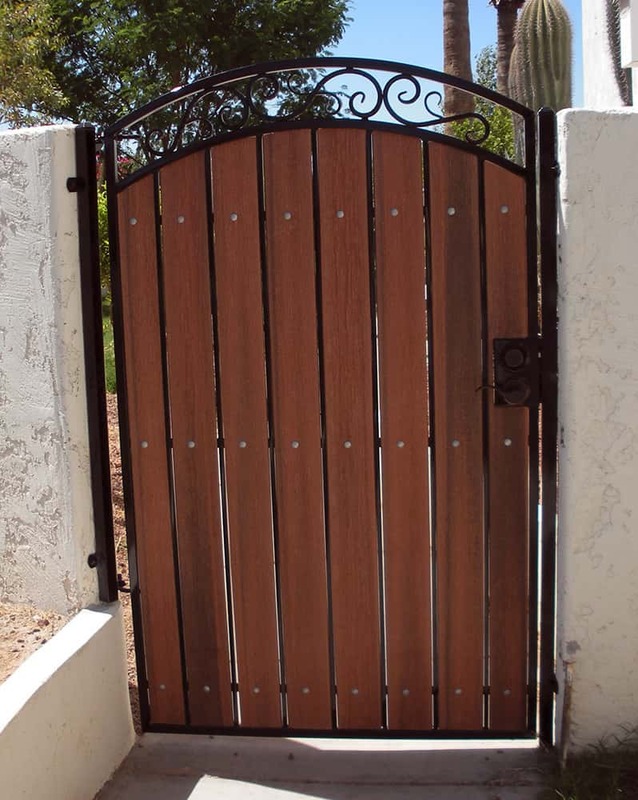 With the rustic look of the home and landscaping, the gate & panels use a natural rust finish topped with an electrostatically applied clear coat instead of paint. This full-bell arched gate uses the natural rust finish to match the rustic decor of this courtyard and will continue to change colors with the weather. While not for every application, it is a beautiful, no-maintenance choice for some. 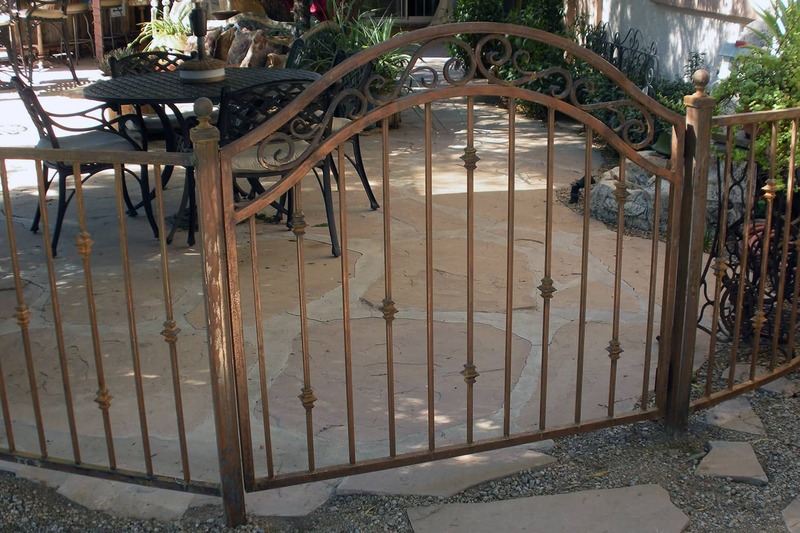 Decorative arched gate with privacy panels. 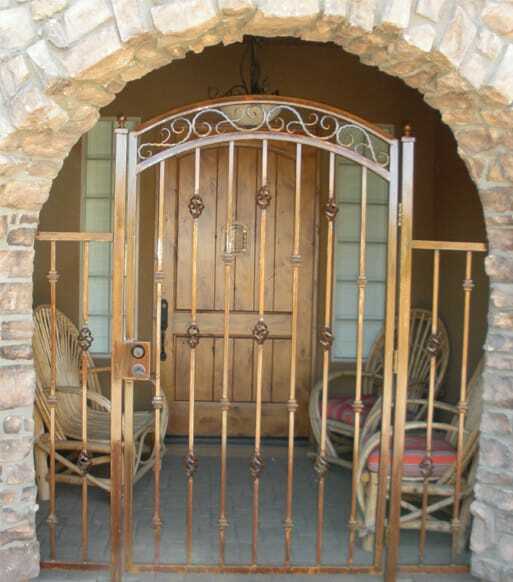 This decorative arched gate gives privacy to the courtyard in back of it. Arched entry gate and panels with C scrolls and knuckles. This courtyard is set-off by an arched gate and decorative wrought iron panel on top of the masonry wall.